“Apparently I underestimated the Live Forever Codex…. Or perhaps I underestimated your Live Forever Codex, Bai Xiaochun!” Daoist Heavenspan looked around at the world, which had become an enormous Live Forever Lamp, and suddenly his heart was awash with numerous complicated emotions. He knew quite a bit about the Live Forever Codex, and yet neither his top apprentice, nor his daughter Du Lingfei, had ever been able to do anything as shocking as this during their cultivation of the same technique. The world was the Live Forever Lamp, and Daoist Heavenspan was the flaming candle. As he burned, his control over the will of the world began to slip away. Apparently, the Live Forever Lamp was causing him… to lose his place as the ruler of the world. Instead of acknowledging him, the world now wanted to crush and kill him!! Bai Xiaochun remained in place off in the distance, looking on with a slight frown. As of yet, he had still not seen anything that seemed like something Daoist Heavenspan would rely on to gain ultimate victory! “You definitely have a true trump card! I refuse to believe that you’ll continue to hold it back in the face of my Live Forever Lamp!” Eyes flickering with cold light, he waved his hand, causing the world-level Live Forever Lamp to begin to shine even more brightly. “I still have one Daogate left of the nine, Bai Xiaochun!” Eyes completely bloodshot, Daoist Heavenspan threw his head back and roared, simultaneously throwing his arms out, placing one hand above and one below, with the palms facing each other. “Daogate… The Palace Within! !” Howling, he shoved his hands out in front of him, causing the six swords to produce another strange design with three sections. As soon as it appeared, it radiated an air of both life and death. One half of it was alive, the other dead, and as they swirled around each other, they created an image that seemed to encompass the entire circle of life. Then, rumbling sounds echoed out as that image of life and death shot toward the enormous world lamp. As soon as the air of life and death began to fill the world, the area around Daoist Heavenspan was demarcated into two halves. One half withered away into death, and in the other half, life force flourished. If anyone were able to look at the scene from far above, it would be possible to see the entire world of Bai Xiaochun’s Live Forever Lamp transforming, with one half dying and the other half growing. As this bizarre scene played out, Daoist Heavenspan ripped his hands apart from each other! “Open!” he shouted. If the world represented both life and death, then Daoist Heavenspan was ripping the two halves apart, and thus tearing the Live Forever Lamp in two! “If this is your secret weapon, Daoist Heavenspan,” Bai Xiaochun said slowly, “then I'm afraid you’re doomed to perish this day!” Even as the Celestial ripped the world to pieces, Bai Xiaochun closed his eyes for a moment. 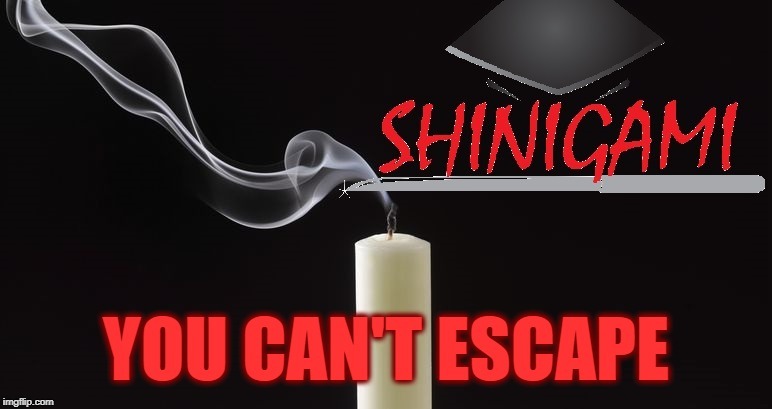 When he opened them, the world-scale Live Forever Lamp… was extinguished!! In that instant, all of the light in the world vanished, leaving behind only Daoist Heavenspan, who still burned with fire. Before, it had been difficult to make out with the naked eye, but now, with the entire world cast into darkness, it was more obvious than ever! “Extinguish the lamp, extinguish the person!” Bai Xiaochun murmured. As the words left his mouth, the entire world of darkness filled with an unimaginably powerful will of extermination. Then that darkness rushed toward Daoist Heavenspan with mountain-toppling, sea-draining power, ignoring the Palace Within, ignoring all defensive measures, ignoring the will of Daoist Heavenspan himself. This darkness would extinguish the fire! It would snuff out the flame of his life force! “Noooo! !” Daoist Heavenspan shrieked. His life was about to end, and therefore there was no time for thinking or planning. His right hand shot up in a blur to touch his forehead, from within which he extracted an iron sword! It was none other than… the fallen sword of Gu Tianjun! Hefting the sword which had fallen from the world beyond, Daoist Heavenspan howled and slashed at the darkness of extermination which threatened to darken the flame of his life force!! The slash of his sword split open the darkness, causing cracking sounds to erupt out. However, it was within the blink of an eye that, to the utter disbelief of Daoist Heavenspan, the fallen sword… shattered into pieces! The darkness couldn't be blocked! In the briefest of moments, it poured into Daoist Heavenspan, inundating him… and extinguishing the candle flame! The lamp was extinguished, and the person was extinguished, killed in body and soul! The entire world went silent. Gradually, the darkness faded away, and light once again began to fill the world. The Live Forever Lamp was gone, and Bai Xiaochun hovered there above the Heavenspan Sea. However, there was no joy on his face. Instead, he was staring at the spot where Daoist Heavenspan had been wiped away. It was only at this point that… he suddenly realized why he had been feeling so uneasy. He now realized why he had begun to speculate that there was a hidden truth at play! “That laughing-crying ghost face that he snatched… still hasn’t shown up yet….” Gaze sharpening, he looked down at the nearly dried up Heavenspan Sea, performed an incantation gesture, and waved his finger. In response, the surface of the sea suddenly bulged, as though some boundlessly powerful force were inside of it, just about to emerge. All of a sudden, a whirlpool erupted in that very spot, spinning rapidly until the seawater around it screamed loudly. In the very center of the whirlpool appeared… Daoist Heavenspan, striding up from the bottom of the sea!! “You are very near the level of being able to kill my true self!” Daoist Heavenspan’s aura was back to normal, but his eyes were bloodshot, and within them could be seen a glint of lingering fear. In the very last moment, he had switched places with the discarnate soul of the laughing-crying ghost face. Were it not for that substitution magic, the might of the Live Forever Lamp would have definitely wiped him out of existence. “Discarnate soul life replacement!” Bai Xiaochun said, his face unsightly to the extreme. The sight of Daoist Heavenspan rising up from the bottom of the sea… confirmed that he had always had a trump card to rely on! He had used a discarnate soul to stand in his place, just as he had used his blood-hair to survive his world-shattering battle with the gravekeeper in the Wildlands. Daoist Heavenspan took a deep breath, his eyes shining with intense killing intent, as well as madness. Oh so slowly, he raised his hand up toward the sky. Daoist Heavenspan’s voice was like the final crack of thunder to hit the world. A massive vortex appeared in his outstretched hand, pitch black and spinning madly. An indescribably powerful gravitational force then erupted out to fill the entire world. The sky had already been damaged severely, and was bereft of almost all life force. And now, it began to wrinkle and crumble…. Within the already withering world, the plants and vegetation all began to die. Every bit of life left in the mountains and lands began to vanish. The rivers and lakes began to go dry. Even the Heavenspan Seawater started evaporating. Next were the animals, the cultivators, and all other living things…. All of the sects, including those in the east, west, south and north. Everything in the Wildlands, and everyone inside and near Arch-Emperor City. The Grand Heavenmaster. The Giant Ghost King. All the cultivators from the lands of Heavenspan, and the demigod patriarchs. Everyone began to tremble as their life force began to seep out of them and float through the air…. As all of this happened, Daoist Heavenspan’s vortex began to turn from black to red. At the same time, a heaven-destroying, earth-extinguishing energy began to build up. Underneath the red glow, the Celestial’s face looked particularly vicious. “This is my last move, Bai Xiaochun. Open, my tenth Daogate! !” In concert with his voice, the vortex began to pulse with the most destructive of airs. Bai Xiaochun could sense the vortex pulling away at the life force of all living things in the world. He could sense the River-Defying Sect in the Wildlands, as well as everyone else he knew, trembling and withering up. At that point, it was with completely bloodshot eyes that, without any hesitation, he reached out in the direction of the north!! Other than translating Chinese novels, one of my big passions in life is Chinese hotpot! Check out my contribution to the newly-launched hotpotambassador.com!